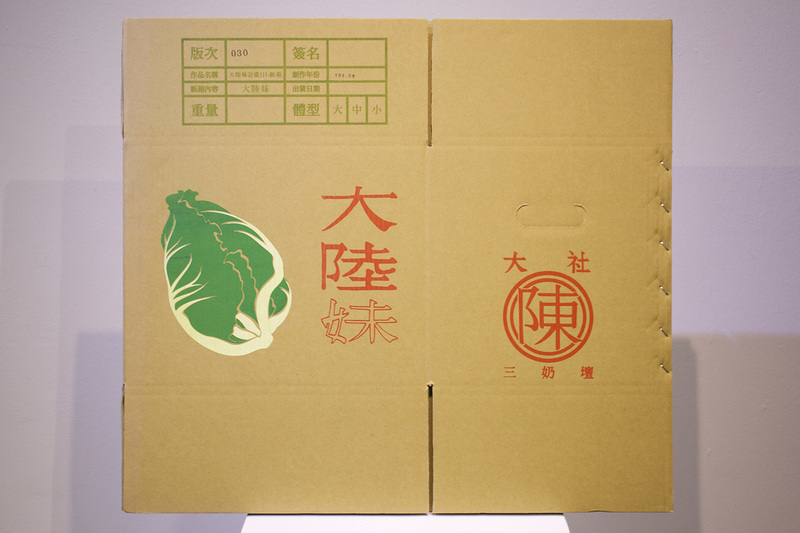 This is(Project Lactuca sativa III), to use block print as the create plan, cardboard boxes are my creations. However, the only way to have the box is to order one box of Lactuca sativa. The most important part that I want to express to all of you is the life task I have connections with my parents on the way of art. 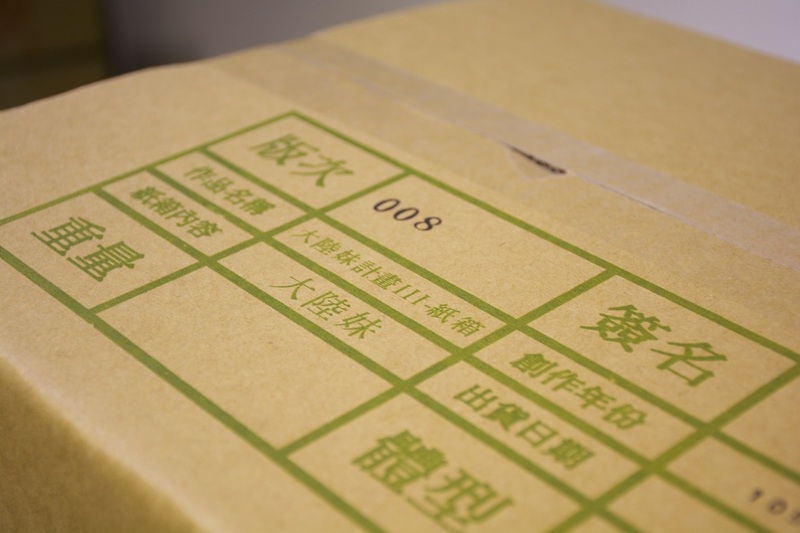 Therefore I change the packing into cardboard box to be the goal of my creation, through the handmade print, there will be some differences on the boxes which should be totally same , just like Lactuca sativa, although every one of them will not 100% alike. 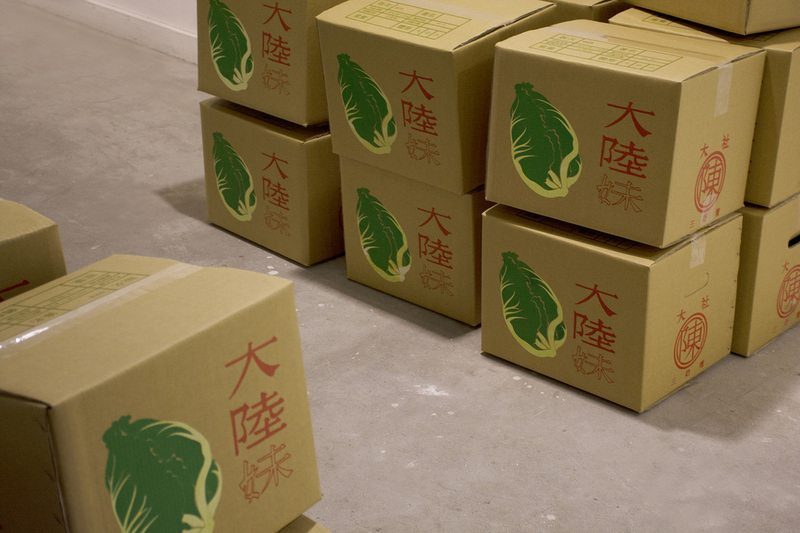 In this project I make use of the fallow season of Lactuca sativa to manufacture the boxes, and follow the purchasing convey to each collectors, to being one art pieces combine practical function and economy value but with unspecified destiny. In this block print create project, after collector make the order, artist will place the self-planted Romane Lettuce into block print creations and deliver to the collector to accompilsh the project. Pre-order is the only way to purchase in this project, the price will be 1000/per box, the expect delivery time between October and December in 2016, the practical delivery time will after connect with the collector,if you want to pre-order please come to front desk(security room) to fill the form, and remit money to the account based on the stub. All creations selling price are include domestic normal atmospheric temperature package freight, if you are a collector lived in off-shore island and need cold storage service will be increase the charge. Little remind here, creations will be delivered and used, therefore paper box creations will tag a sticker on it and other using damage.